Imagine ascending to greet the sunrise as you drift among geologic wonders that were being created when dinosaurs roamed the earth. The fragile sandstone of Arches National Park and precarious rock towers drift past, each one defying gravity with you. Across the horizon, the 13,000 foot La Sal Mountains cast a long shadow upon the town of Moab and Canyonlands National Park. The pilot and the winds navigate to your own personal destination, your mind and camera alive with images that will last a lifetime. 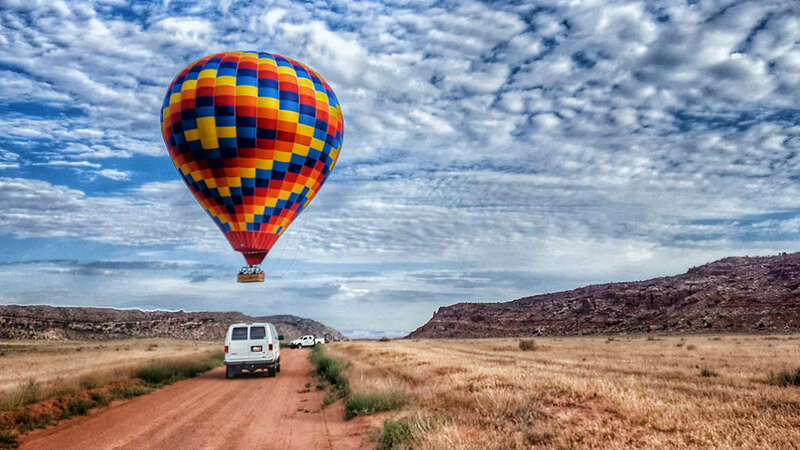 Take an adventure on your scenic air tour in our hot air balloons over Canyonlands or Arches National Park, near Moab, Utah--the premier destination in the West. Every Moab adventure ends with a special post-flight toast ceremony out in the Canyonlands where you land. 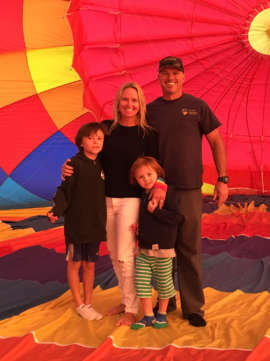 Canyonlands Ballooning--Moab's only hot air balloon company—excels at offering kids of all ages from 5 to 95 the ultimate Moab adventure air tour. 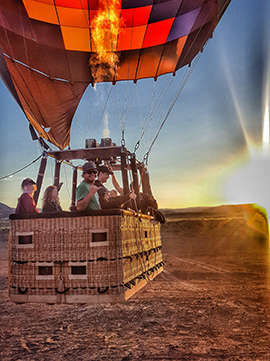 During your scenic hot air balloon flight over Canyonlands, Arches or Moab, you might see sandstone formations, desert towers, canyon mazes, arches big horn sheep or long-horn antelope. Canyonlands Ballooning is the pioneering and only hot air balloon company in the Moab, Canyonlands and Arches area. We are a family owned and operated business. 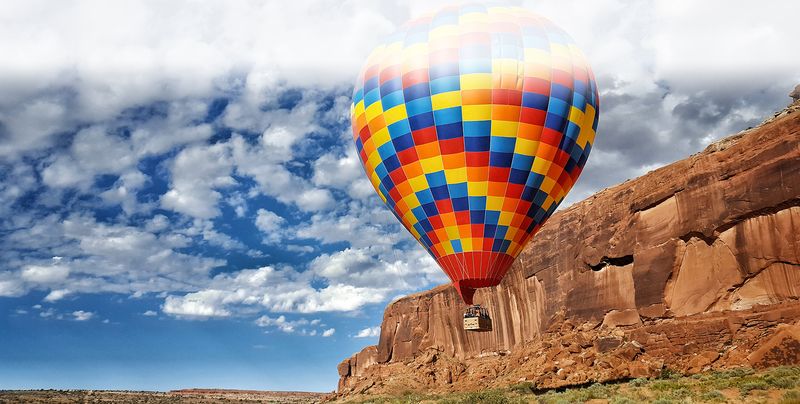 We are proud to to offer you an unique and unforgettable balloon adventure near Moab. I am a FAA licensed pilot and owner and operator of Canyonlands Ballooning. I have flown everything possible--hot air balloons, sail planes, hanggliders, ultralights and airplanes. Having spent the last 27 years exploring the Moab and Canyonlands area, I am uniquely familiar with the beautiful intricacies of this delicate desert landscape. 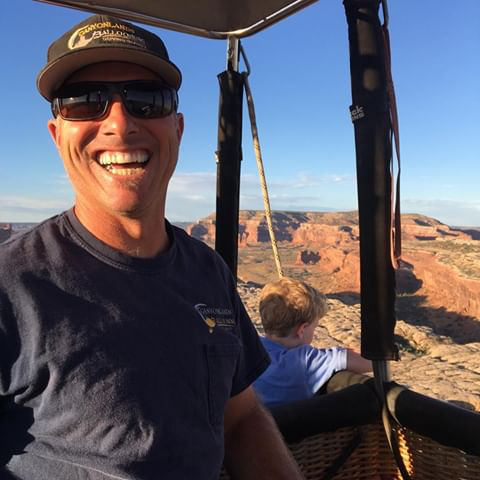 Starting Canyonlands Ballooning is a dream come true--blending my love of flight, the Canyonlands/Moab area and sharing adventure with people from around the world. I cannot wait to take you flying with me! Canyonlands Ballooning offers you a unique sunrise scenic tour daily. Each scenic flight meets around sunrise just about 15 miles north of Moab, Utah near Arches and Canyonlands National Parks. From our meeting location, Canyonlands Ballooning takes you in our 4WD vehicles to the launch site. Your pilot has different launch sites. After a careful analysis each morning of the prevailing winds predicted for the morning, the pilot chooses the best launch site to provide you with optimal views of Canyonlands and Arches National Park. At the launch site, your pilot and chase crew will inflate the beautiful hot air balloon canopy. Once inflated and several pictures later, you will gently lift off Mother Earth. 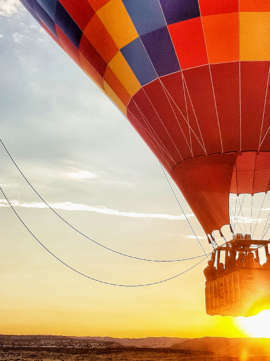 Up, Up and Away in YOUR beautiful hot air balloon. You will be in the air for just over an hour. Every flight is different as there is no steering wheel in a hot air balloon. The pilot and winds navigate you to your own personal destination. You may fly over sandstone formations, cliffs, buttes, canyonlands, natural arches, canyon mazes or Arches National Park. If your lucky you may also see prong-horn antelope, desert big-horn sheep and other birds of prey. Once we land the hot air balloon, the pilot will join with you in a celebratory toast out in the Canyonlands. Our professional chase crew will return you back to the meeting location after your Moab adventure. 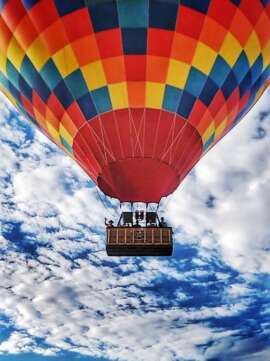 Please bring your cameras, video cameras, GoPros to memoralize this once in a lifetime scenic hot air balloon flight in the Adventure Destination of Moab, Utah. We'll be meeting at the Archview Campground, 8.6 miles north of the CO River crossing and 6.5 miles north of the entrance to Arches National Park. Moab is home to two of Utah's Mighty 5 National Parks---Arches and Canyonlands National Park. Nothing compares to watching the sunrise over the desert landscape of Canyonlands National Park and Dead Horse State Park. Arches National Park with its sandstone arches, canyon mazes and balancing rocks is breathtaking. From desert mazes, sandstone formations to the mighty Colorado River, there is are endless outdoor activities for kids of all ages. Copyright © 2019 Canyonlands Ballooning. All rights reserved.